The Great Himalaya Trail is a network of existing treks and trails which together form one of the longest and highest walking trails in the world. Winding beneath the world's highest peaks and visiting some of the most remote communities on earth, it passes through lush green valleys, arid high plateaus and incredible landscapes. Nepal's GHT has 10 sections comprising a network of upper and lower routes (see this map of Nepal), each offering you something different, be it adventure and exploration, authentic cultural experiences, or simply spectacular Himalayan nature. Everest base camp trek (5,362m) is the most popular adventure activities in Himalayas ever since Edmund Hillary and Tenzing Norgay Sherpa climbed the Mount Everest in may 29th 1953. The Everest base camp trekking in Nepal is an ultimate goal for trekkers and a beginning of the expedition bid for the climbers. The 2 weeks long walking holiday journey to Everest base camp and Kalapathar 5,445m is once in a lifetime adventure of great challenge and achievement with thrill of being so close & standing face to face with tallest mountain on world. The scenery is breathtaking with paradise of glistening snow-capped mountains, spectacular glaciers, fascinating Sherpa settlement and culture, ancient ornate monasteries and friendly ever-smiling mountains people. 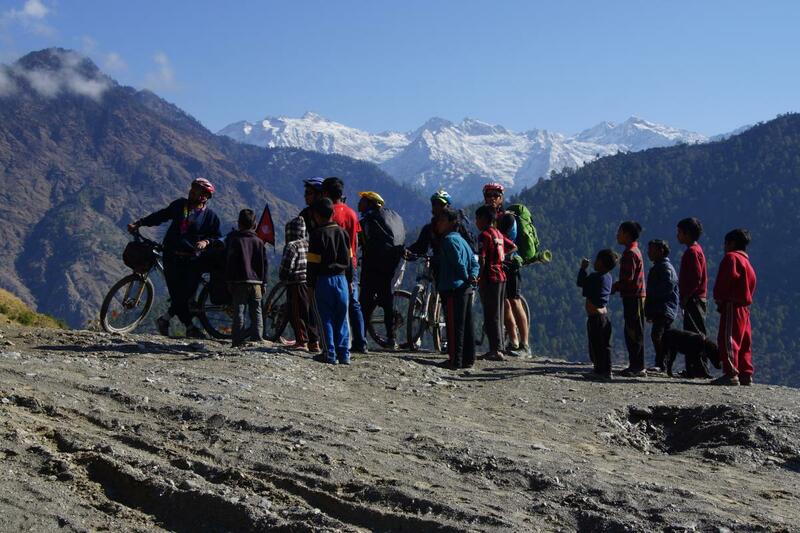 The Great Himalaya Trail MTB Trail 5.00 out of 5 based on 2 ratings. 2 user reviews.